Arizona, unlike many other states, does not require HVAC technicians to obtain a commercial license. While it seems that this would make it easy for just about anyone to work in an HVAC-related field without formal training or testing, there are some very good reasons why an aspiring technician should attend an accredited HVAC trade school program. While it may take anywhere from three to five years to complete an apprenticeship, vocational training can be completed in two years or less and is usually only followed by an abbreviated apprenticeship. This enables you to learn the skills you need quickly and find work without delay. Technical school training provides the fundamental knowledge one will need to work in any HVAC and/or refrigeration-related field. It enables one to receive instruction from knowledgeable HVAC professionals and gain hands-on training working with the equipment and tools used in the field. Given this fact, it is not surprising that many employers would rather hire a worker with a technical school diploma than one who has simply done an apprenticeship without receiving formal training. It is also worth noting that HVAC courses can also help a person learn computer and electronics skills. While these valuable skills are seemingly unrelated to working with HVAC units, the Bureau of Labor Statistics notes 1 that those who are familiar with computers and electronics will have more and better job opportunities available to them than those who are not. HVAC systems are becoming increasingly complex, which is why the above-mentioned training courses lend an edge to an aspiring tech’s career prospects. 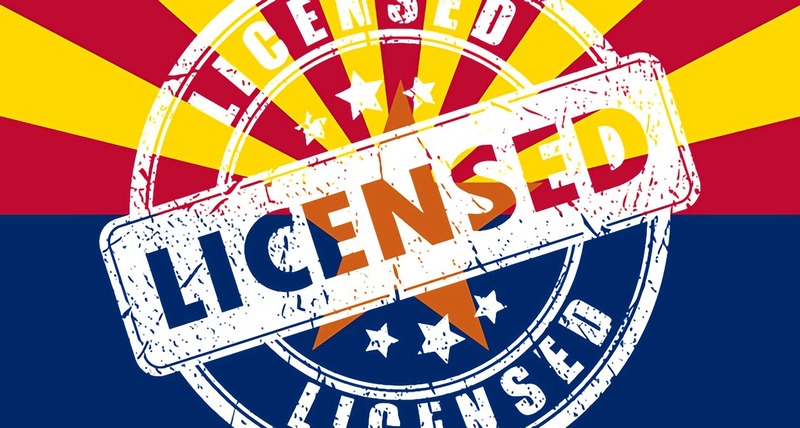 While HVAC technicians do not have to be licensed in the state of Arizona, HVAC contractors and those who work with refrigeration services are required to obtain a license. Once again, learning the fundamentals of HVAC in technical school and taking an apprenticeship will provide you with the technical knowledge and experience-related skills needed to pass one or more of these exams and obtain a license. There are three HVAC Trade Exams in Arizona, and the one you take will depend on your chosen area of specialization: the C-39 exam covers residential practices; the K-39 covers commercial contractors; while the L-39 is for contractors that offer services in both arenas. In order to take any one of these exams, you will need to have at least four years of experience, pay a testing fee and pay a bond based on what you expect to earn in the future. A business management exam accompanies each of the three above exams. If you meet the requirements and pass the exams, you will become a licensed journeyman HVAC contractor. The state does not offer exams for Master contractors; these are provided by professional entities such as HVAC Excellence. The Environmental Protection Agency administers three distinct exams for obtaining a license to work with refrigerants: Exam Type 1 is for those who will service small appliances, Exam Type 2 is for those using high-pressure refrigerants and Exam Type 3 is for those using low pressure refrigerants. In order to take any one of these exams, you will need an HVAC/R certificate from a technical school and up to two years of on-the-job experience. While you do not necessarily have to obtain a license to work in an HVAC-related field in Arizona, doing so is a wise idea as it enables access to greater job opportunities and the potential to earn a higher salary. Studying at a technical school like The Refrigeration School and learning via apprenticeship will help you gain the skills you need to pass these exams and obtain a job in the specialized field of your choice.